How much does it cost to maintain a Ferrari? Expensive cars come with expensive bills. That’s always been true. Partly because the car’s price means it’s rarer than the average motor and partly because the expensive purchase price means expensive parts are needed to maintain it. There’s also the inflation of garage fees to consider because they assume (quite rightly) that you have access to money. 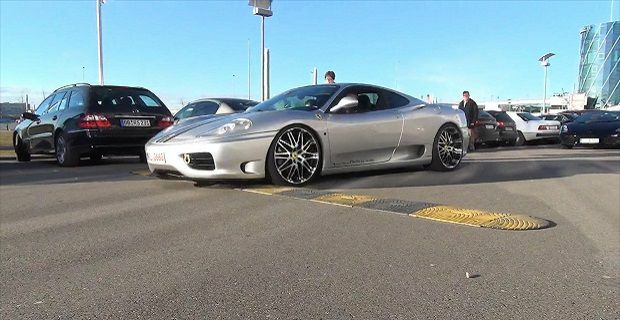 You can’t put a figure on the maintenance costs of a Ferrari because each car differs but we’ll give you an example of the money an owner had to find to keep his Ferrari 360 on the road for a year. You read stories that suggest cars like the Ferrari 360 hold their value. That's true in terms of percentage but when you're purchase price is so high, your small depreciation percentage equals a large drop in the car's value. The owner we're profiling here spent $86,500. He lost $8,500 in less than 12 months. When Ferrari owner tell you their car has bulletproof reliability, they're probably not lying but they will definitely be disguising the major bills that come with minor work. The owner in question had no issues with his 360 but he still spent $2,333.75 on new tyres and an oil change a few days after buying the car. Less than 7 months later another oil change was needed along with a new front brake pads and rotors. That cost another $1,754.45. A replacement battery which would cost less than $200 on most cars, set this guy back $541.61. Those numbers might surprise you but the truth is that owning a car like the Ferrari 360 gives you running costs that are comparable with other exotic cars like from brands like Lamborghini and Aston Martin. But running a top of the range Mercedes, Audi, or BMW will also set you back loads when services and MOTs are needed. If you have an expensive car, you'll have expensive bills for it. There's no getting away from that.